Our Shihan Fransisco Melendez is beside also being a 4. dan in Acudo ryu also a 8 dan in Tae Kwon Do, and one of the founders of the Tae Kwon Do in Mexico. Melendez does not step down to correct wrong. He faces evil with pride and honesty. This time he confronts the Mexican Tae Kwon Do Federation for not working for the interest of Tae Kwon Do. We that affiliate with Acudo ryu feel a strong Pride to have people like Melendez among us! 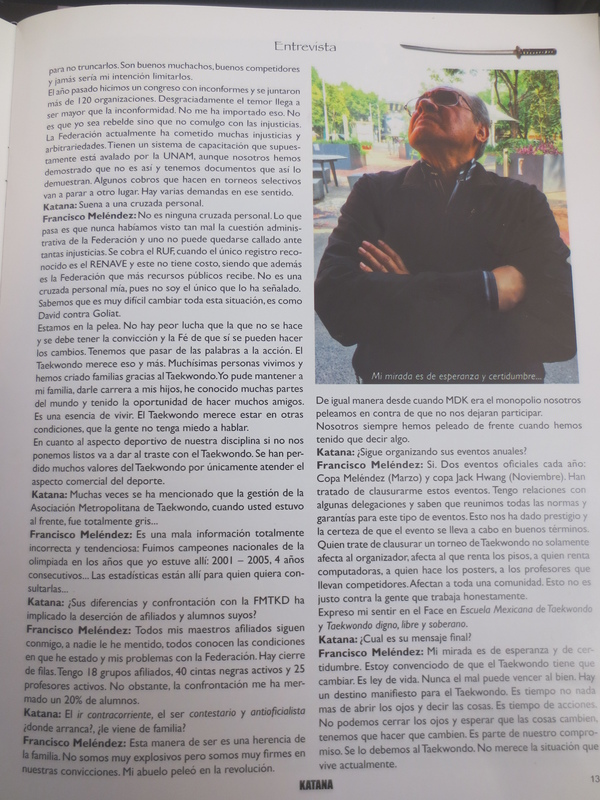 Read the complete interview in the martial arts magazine Katana. In the same magazine we also find interviews with Frank Dux, Jeff Speakman, Dai Won Moon, Akira Yamada and Antonio Marquez. 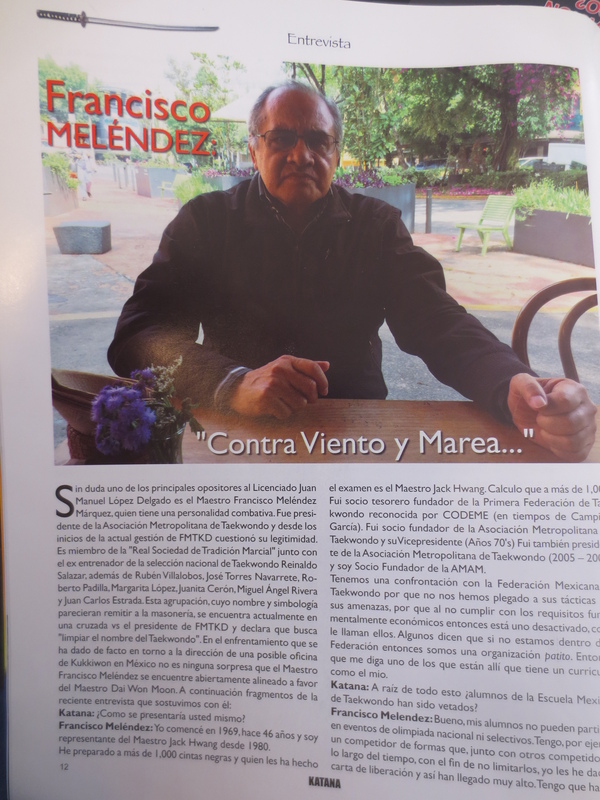 The editor of the magazine are the honorable Alonso Rosado Sanchez. Shihan – We stand with you!